because I learned to say the words, I Love You"
The new C de B album, 'The Road To Freedom', was released in early March , 2004. 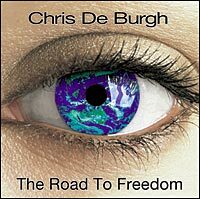 The record is released on Chris's own Ferryman Records label - and is available from the official Chris de Burgh web site. Bookmark the site immediately. 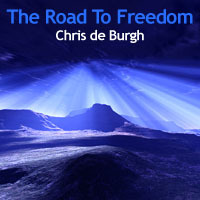 'The Road To Freedom' is very much a return to his musical roots for Chris, with solo performance at its core, supplemented by contributions from other musicians. It is the single from the album: The Words,"I Love You" which was released in mid February and will only be available from Cdeb's web site and by mail order. The man never fails to deliver, does he? The song is gorgeous. The Words "I Love You". 4. The Words "I Love You"